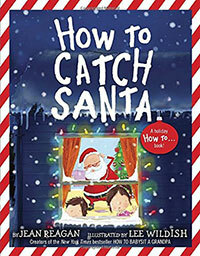 My littlest and I went to the library yesterday to gather kids holiday books to read like squirrels and their acorns. At least that’s how I felt. During the holidays it’s important to sit down with kids and read to them so they can understand why we celebrate. The root of all of these holidays is a celebration of life, our family and friends, and extending kindness to others. Here are some books to read that remind us of that. On Christmas Eve, Big Snowshoe finds a way to see the animals’ Santa when a Snowy Owl in a red cap swoops down with a pack full of presents. 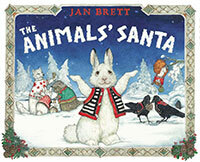 Never again will an excited Little Snow doubt that there is an animals’ Santa. Cynthia Rylant returns to her Appalachian roots in this story of a young girl who lives with her grandparents in the country. As in her very first book, WHEN I WAS YOUNG IN THE MOUNTAINS (for which illustrator Diane Goode received a Caldecott Honor), Rylant evokes the warmth of the joyful Christmas season and celebrates the greatest gift of all–the love of family. Diane Goode’s cheerful watercolors capture the festivities of the season, from Christmas trees loaded with homemade ornaments to the snow-covered countryside. 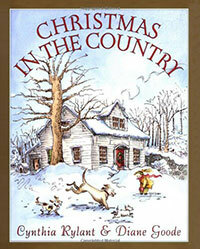 A warm, evocative portrait of a loving family and a favorite season. The Armistice has been declared, but still there is no sign of Ruthie’s father in their little Appalachian town. So, in accordance with the traditions of Pine Grove, it falls to Ruthie and her mother to bring home the perfect Christmas tree to donate to the town. Ruthie had accompanied her father to the rocky cliff where he marked a tree in the spring, so she and her mother set out to find it again, and haul it home. Their trip becomes the basis overnight of a new town legend; Ruthie, chosen for the role of the heavenly angel in the the church Christmas play, finds herself outfitted in a made over wedding dress of the finest silk another “miracle” wrought by her hardworking mother. 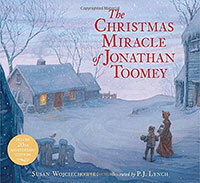 An accomplished, fluid telling garnishes this simple story, as do Cooney’s moonlit paintings of wintry evenings and the welcoming glow of fire and lanterns. Ruthie is more or less an observer; her mother is the real heroine. But the way they work together to keep their family’s duty is rendered in a harmonious blending of text and pictures. Ages 4-8. It’s December 24th, and the old farmer settles down for a winter’s nap, wondering how Christmas can come when there is no snow! 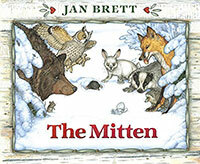 In his dream he imagines a snowstorm covering him and his animals—named One, Two, Three, Four and Five—in a snowy blanket. But when the farmer awakens, he finds that it has really snowed outside, and now he remembers something! Putting on his red suit, he goes outside and places gifts under the tree for his animals, bringing holiday cheer to all. 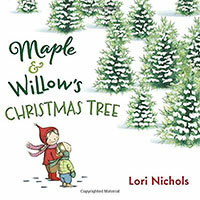 Lori Nichols’s delightful book celebrates the bond of two nature-loving sisters, and their ability to find fantastic kid-powered solutions to any problem—and it will give allergy sufferers an extra reason to celebrate. In this rockin’ spin on the traditional tale The Night Before Christmas, Pete the Cat proves that giving your all in the spirit of Christmas is the totally groovy thing to do. 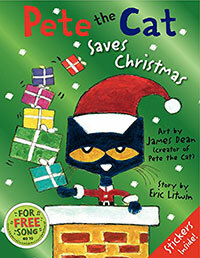 This updated edition of Pete the Cat Saves Christmas, a New York Times bestseller by James Dean and Eric Litwin, features a foil jacket and includes a free sticker sheet! Christmas and Santa was ill.
had caught a bad chill. It’s the last night of Hanukkah, and more relatives are coming than originally planned. Rachel decides to borrow potatoes from Mrs. Greenberg. 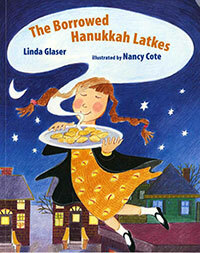 She asks Mrs. Greenberg, who is all alone, to come for Hanukkah. But Mrs. Greenberg is very stubborn! For more than 25 years, African-American families have celebrated Kwanzaa–a holiday, inspired by their ancestors, that celebrates the harvest season. 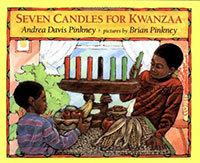 With a rich, informative text and stunning four-color illustrations, this book will help young children to begin their own Kwanzaa celebration. From a letter written by her grandmother, Rebecca learns that winter began on June 21, while she was cooling off under the hose. The northern half of the Earth began to grow cold, and the days grew shorter. 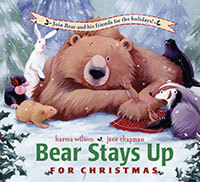 The birds began to fly to the sunny underside of the Earth, and the groundhogs and bears went to sleep. But on December 22, summer will begin. Before long, Rebecca will take off her shoes and jump over bluebells. 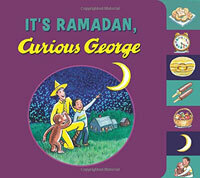 It’s the first day of Ramadan, and George is celebrating with his friend Kareem and his family. George helps Kareem with his first fast and joins in the evening celebration of tasting treats and enjoying a special meal. Then, George helps make gift baskets to donate to the needy, and watches for the crescent moon with the man in the yellow hat. Finally George joins in the Eid festivities to mark the end of his very first Ramadan. 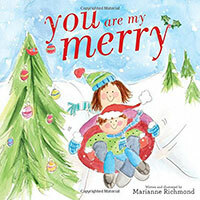 Perfect for sharing a cozy moment with a special child, You Are My Merry reminds us of the magical gift of spending Christmastime with the ones you love. 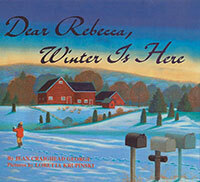 Marianne Richmond’s sweet illustrations and heartfelt prose offer a way to celebrate the best connections of the season. a gift I’ll always carry. 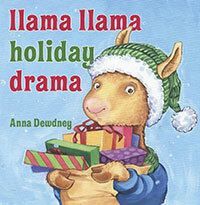 Fans of I Love You, Stinky Face, will love this Christmas story! 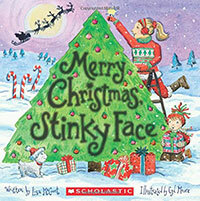 Stinky Face loves Christmastime…but he still has plenty of questions. 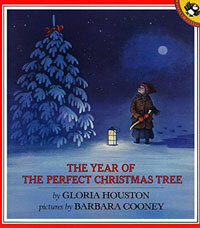 What if a big, wintry wind blows his Christmas tree away? What if one of the reindeer gets his antlers stuck in the branches that hang over the roof? Luckily, his imaginative Mama knows how to reassure him that Christmas will be magical! 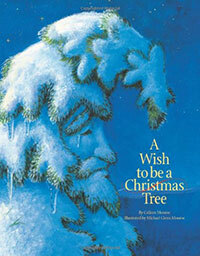 This charming tale of an overgrown pine always being passed by for Christmas, and what his woodland friends do to help him, is sure to become a Christmas classic. 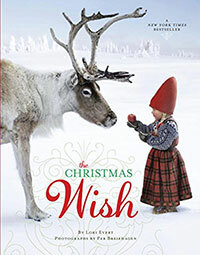 With delightful illustrations by wildlife artist Michael Monroe and enchanting text from Colleen Monroe, the birds, deer and squirrel of this story help make their special friend’s wish come true. “Christmas is pish-posh,” grumbles Jonathan Toomey, the best wood carver in the valley. He’s a Scroogelike recluse; but he’s a gentle grouch, it turns out, and he hides a sad secret. He’s transformed, not by Dickensian ghosts, but by an eager seven-year-old boy and his widowed mother who ask him to make them a Christmas creche. The story verges on the sentimental, but it’s told with feeling and lyricism (he “traveled till his tears stopped” ). Lynch’s sweeping illustrations, in shades of wood grain, are both realistic and gloriously romantic, focusing on faces and hands at work before the fire and in the lamplight. In a beautiful, elemental scene, the angry wood carver stands on the threshold of his home, disturbed by the gentle widow and her son who want his help and will transform his life. Hazel Rochman –This text refers to an out of print or unavailable edition of this title. 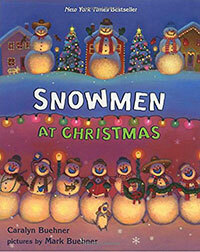 One of the more charming new books of the holiday season, this reintroduces the jolly snowmen (and women) from Snowmen at Night (2002). This time they are enjoying the Christmas season, venturing out during the moonlit night (while children sleep) to gather in the town square. It’s not what happens here (primarily a visit from a snow Santa and some carols ’round a tree) but the rich art that makes this special. As in the previous book, Buehner does magical things with light in his paintings. From the cover, where snow people frolic in the moody blues of evening to the scene of a city street where holiday lights cast a mellow glow to the quiet picture of a lightening morning sky, children will be enchanted by the hues of the acrylic artwork. The text is sprightly with a to-the-point rhyme scheme that only occasionally verges on singsong. 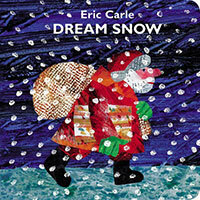 Little ones, especially, will enjoy the celebration as the snow people relish their special night. I love this!! 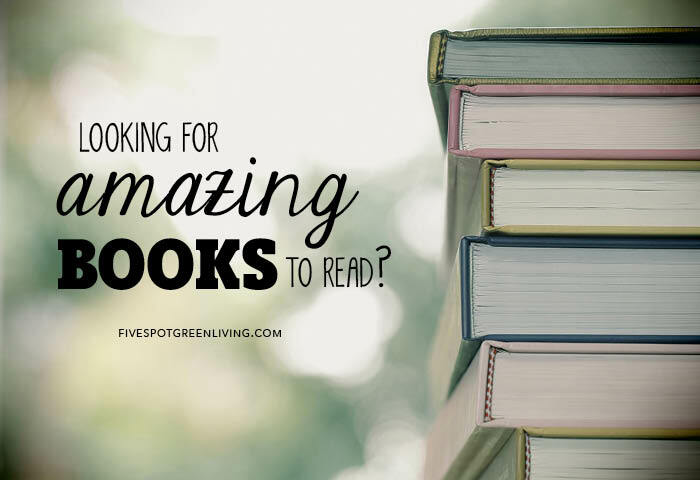 I am always looking for new books to get my little one! 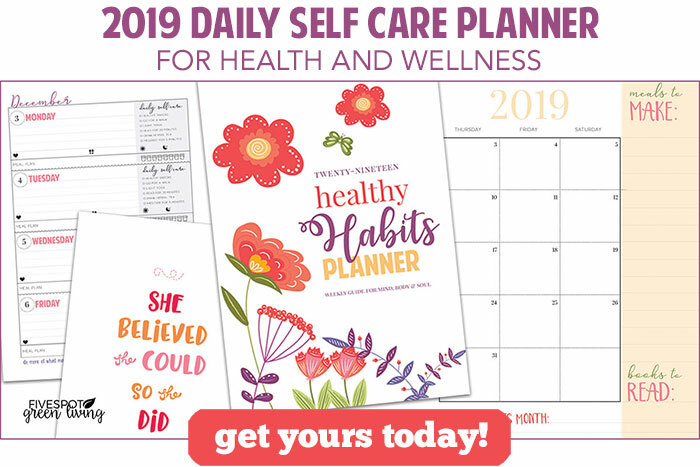 This is a perfect list for the holidays!! Thanks so much for sharing!! 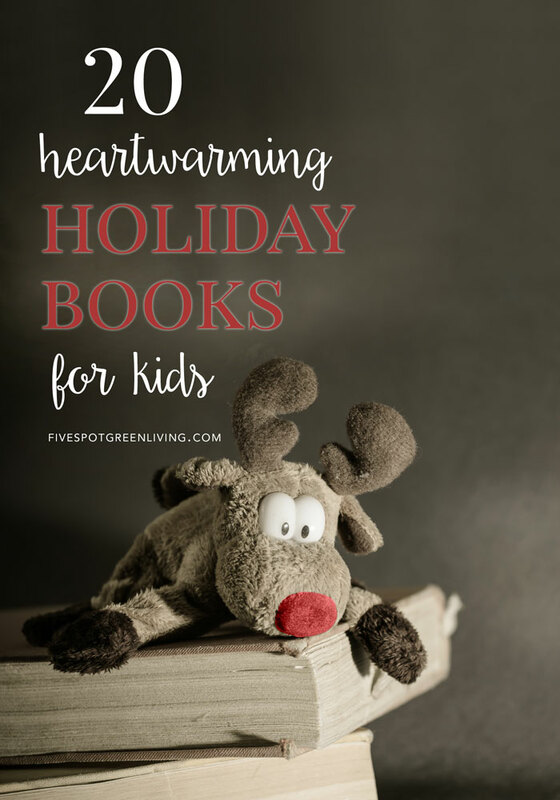 These are just fun books to read to my kids for the Holidays. 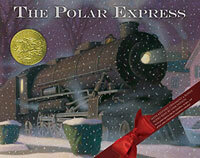 We love Polar Express and the other ones are amazing. 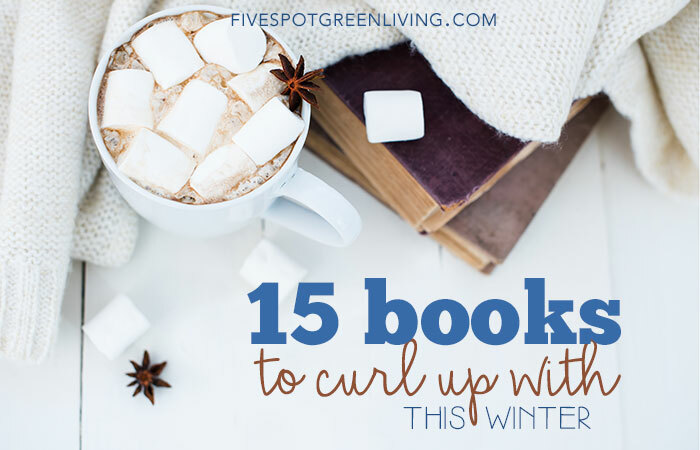 I will have to check out some of these books to read for the Holidays! What a wonderful list! My nieces all love reading. We’ll have to try some of these! 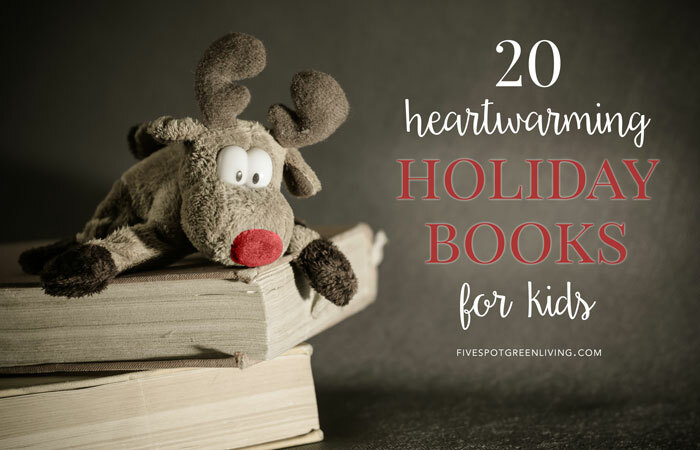 I love reading to my grandchildren, thanks so much for this list of books.